It’s not that Gerry doesn’t love her husband, she does; it’s that Tom is a dreamer with a $99K scheme to build airports suspended over major cities like tennis rackets, where planes would land on metal strips. Tom and Gerry (hey, wait a minute!) have faith in the plan, but no one else does, and Tom’s pursuit of the dream has left them broke, to the point that their landlord is renting their apartment out from under them. The potential tenant, a near-deaf sausage tycoon (Robert Dudley), takes pity and gives Gerry the money she needs to pay the bills. His gesture also gives her an idea: leave Tom and find a millionaire willing to tie the knot. She can tell him Tom won’t grant a divorce until he gets his $99 thousand, thus getting her husband everything he wants. 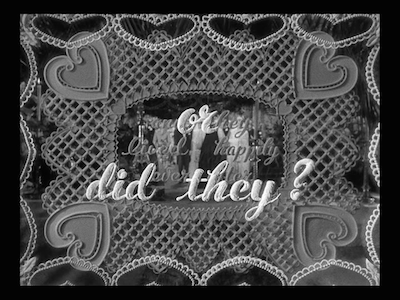 It’s a twisted O. Henry variation. 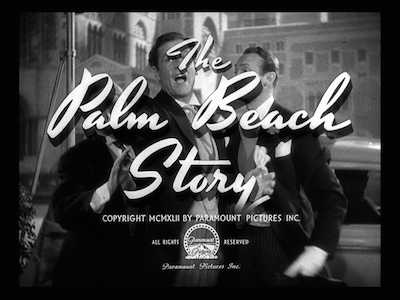 For much of The Palm Beach Story, this cockamamie plan takes a backseat to other comedic business, the best of which is Gerry’s long train ride to Palm Beach. She is adopted by a group of besotted rich men on their way to hunt. Calling themselves the Ale and Quail Club, these fellows kill more bottles of booze than they do birds, and wreak havoc by shooting up the train. 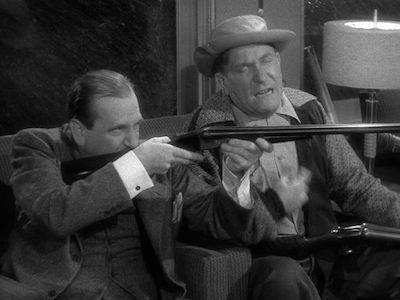 Sturges-regular William Demarest (a.k.a. Uncle Charlie from the 1960s television show “My Three Sons”) stands out as the most vocal hunter, his emphatic declarations of “Bang-bang!” providing the 1940s equivalent of an SNL catchphrase. It’s actually when Gerry is running from these drunk gunman that she meets her would-be second husband, the mega-wealthy J.D. 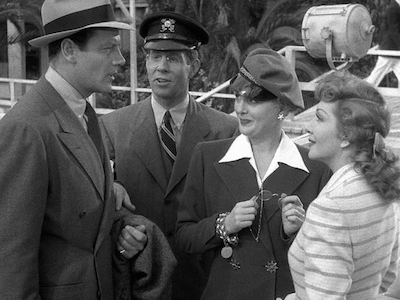 Hackensacker III (Rudy Vallee, also in Sturges’ darker marriage comedy, Unfaithfully Yours [review]). Hackensacker is endlessly patient and eternally pleasant, and he becomes smitten with what looks to him like a lost little girl, buying her a new wardrobe and taking her the rest of the way to her destination on his private yacht. Things get complicated once they return to dry land. 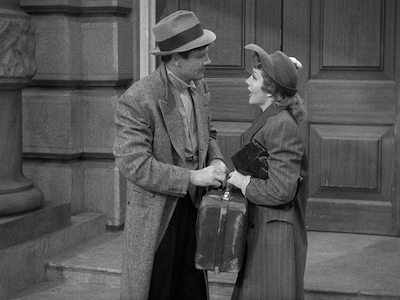 Tom is waiting for them, having never signed on to Gerry’s plot, and they also run into Hackensacker’s hot-to-trot sister, the Princess Centimillia (Mary Astor, The Maltese Falcon [review]). Once Gerry insists Tom is her brother, things only get screwier from there. The star of the show, though, really belongs to Colbert, who is genuinely charming and winning in all the right ways. Her earnestness often turns to devilishness, but that can also give way to genuine sympathy and concern for the man she loves. You can believe in her belief she is doing the right thing, and forgive her for being so blind. 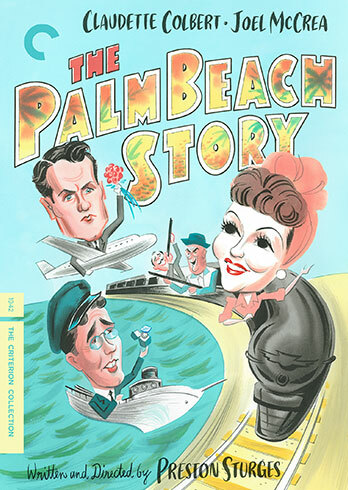 On a side note, in Criterion’s great tradition of reaching out to current artists and illustrators to design their covers, The Palm Beach Story’s cover and interior drawings are by famed Canadian cartoonist Maurice Vellekoop. Check out more of his work at his website.